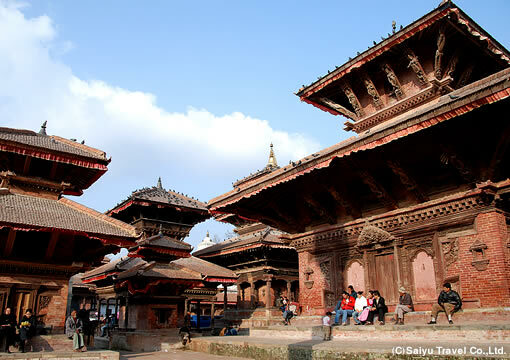 Kathmandu Valley One-Day Tour｜Saiyu Nepal Trekking & Expedition Pvt.Ltd. 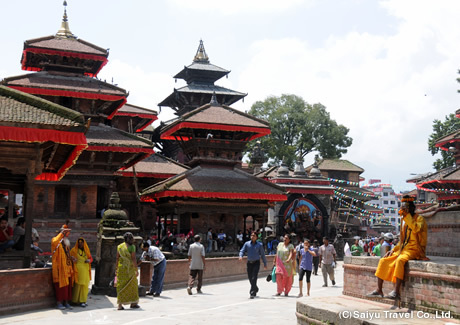 This exclusive tour of Kathmandu valley takes you to the highlights of Kathmandu`s world heritage sites. Take a private car, your guide will help you to move around freely. Our guide will pick you up from designated place inside Kathmandu. 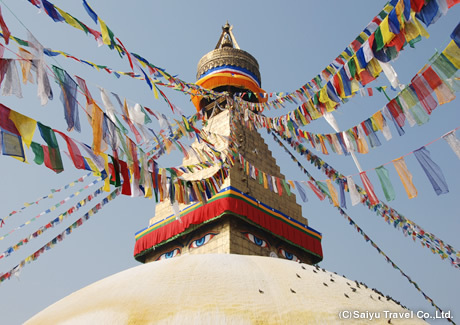 Visit Boudhanath Stupa, which is a Tibetan styled Buddhist Temple; largest of its type in Nepal. 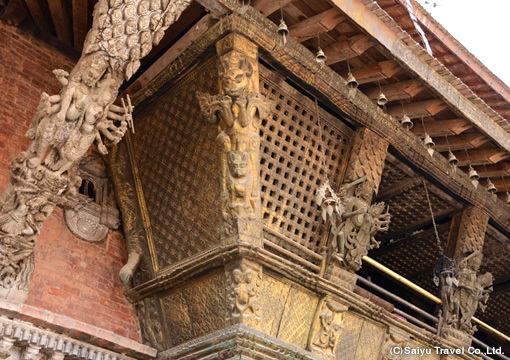 Travel to Bhaktapur Durbar Square, with old crafted buildings, old palaces, looking like museum in themselves. 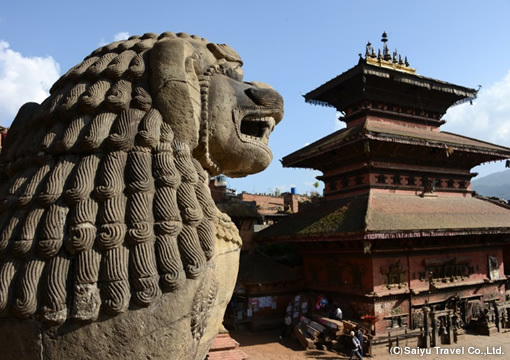 Stroll through the Bhaktapur Durbar Square, watch local lifestyle. This day`s lunch is planned at New Café Nyatapola located inside a Newari traditional building. 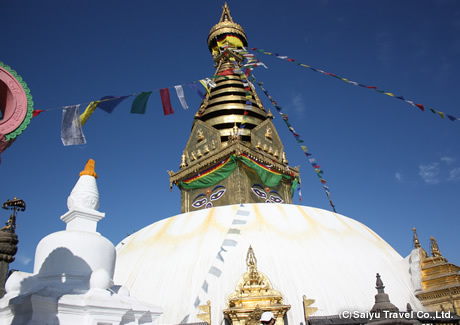 Go to Swayambhunath Stupa, another Buddhist stupa located on top of a hill. 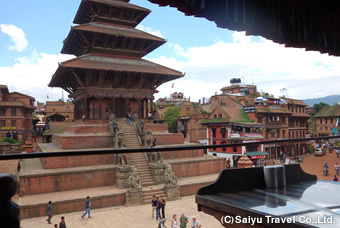 Continue to Kathmandu Durbar Square to visit the historic castle area once used by the ruling kings of Nepal. 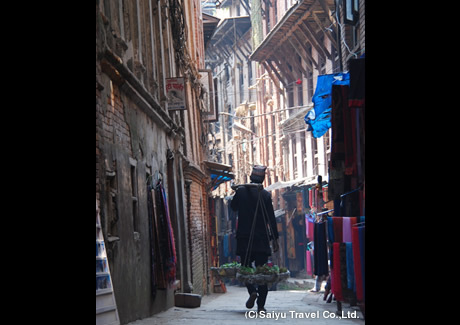 Visit the Kumari Bahal, temples around, Castle and continue to Thamel filled by foreigners from around the world. The guide will drop you off to your hotel. Tour ends. Private car/ A tour guide/ Lunch/ Entrance fees for the monuments mentioned in the itinerary/ Other taxes, etc. Note 1: If you want to start the tour from Kathmandu airport, an additional cost US$ 10[One person] and US$ 5[Two persons] is required. ※A Wagon car is recommended for the group of more than 3 persons. ※The sightseeing spots mentioned above are only for client`s reference, you can change it based on your interest. ※All the prices mentioned above are tour price per person. Kathmandu valley is an important trade point from Nepal`s ancient time. It`s the capitol city of Nepal and used to be called "Kantipur" in early days. 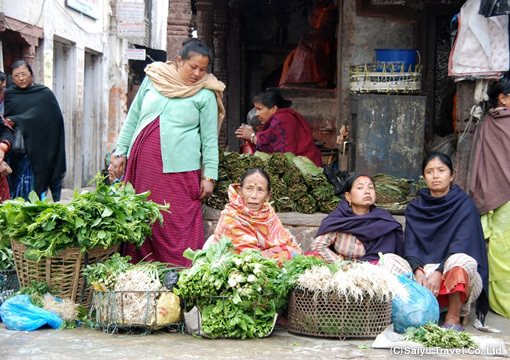 "Kantipur" connects to the glory of the area where The Valley of Kathmandu has flourished since the ancient times as an important trading point. Bhaktapur was one of three kingdoms of Kathmandu, and you can visit find a lot of old brick buildings. Boudhanath and Swaytambhunath stupa are century old stupas built in Tibetan style. 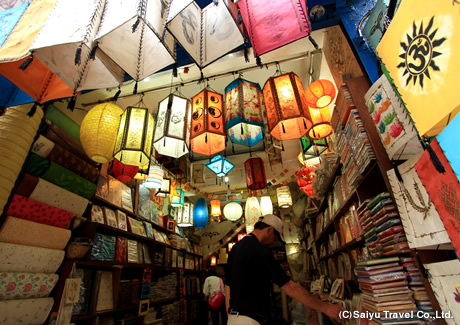 A visit with local tour guide is recommend to explore the core attractions of the historic world heritage sites. Good and old streets remain in Bhaktapur. 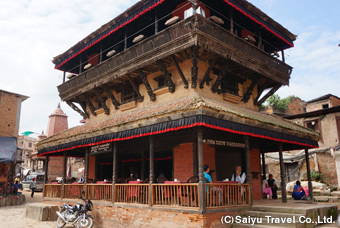 New Café Nyatapola, built in old traditional Newari Style, serves the best food with sceneries of Bhaktapur Durbar Square and it`s peripheries. The building was renovated from the Newari Temple to provide visitors a complete Newari atmosphere while having delicious lunch. Enjoy the Day`s lunch at New Café Nyatapola.